WASHINGTON — On Monday, the Washington Nationals released the schedule for 2018 Spring Training, their second season at The Ballpark of the Palm Beaches. 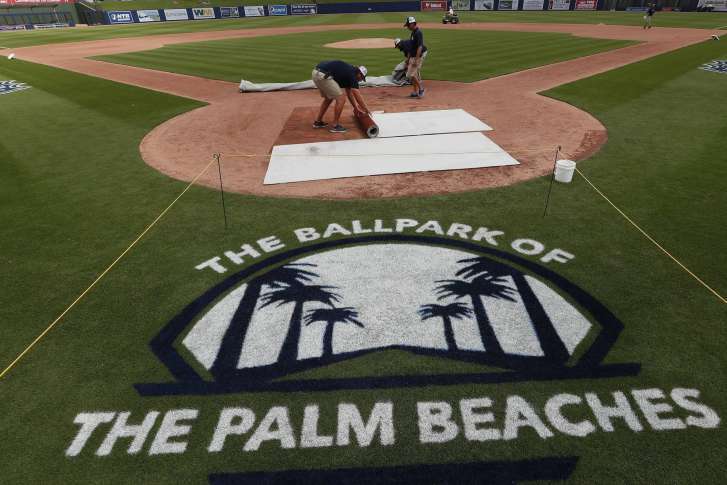 The Nats begin spring games as the visiting team in Palm Beach on Feb. 23 as they face off with their co-tenets, the World Series Champion Houston Astros. The Nationals will play 15 “home” contests, though they’ll play 18 times in Palm Beach during the 32-game Grapefruit League schedule. In addition to the Astros, Washington will host the Braves, Marlins, Tigers, Mets and Cardinals next spring. The team will play its final game in Florida Sunday, March 25 against St. Louis in West Palm Beach before flying home for an exhibition against the Minnesota Twins on Tuesday, March 27 at Nationals Park. The regular season begins March 29 in Cincinnati, with the home opener a week later, Thursday, April 5 vs. the Mets.